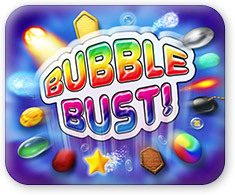 Over 10 Million Players Addicted to Bubble Bust! Bubble Bust! Now available on Google Play! Bubble Bust! 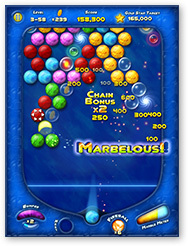 is an amazing bubble-shooter game featuring addictive gameplay and tons of exciting new bubbles and power ups! Your goal is to clear the marbles and bust the hidden key bubble. It's simple, yet amazingly fun and challenging! Copyright © 2010-2015 GameOn. All rights reserved.